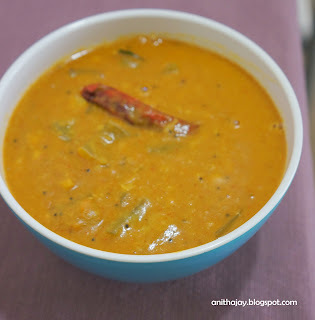 Bored of doing Kootu and curry using Podalangai. 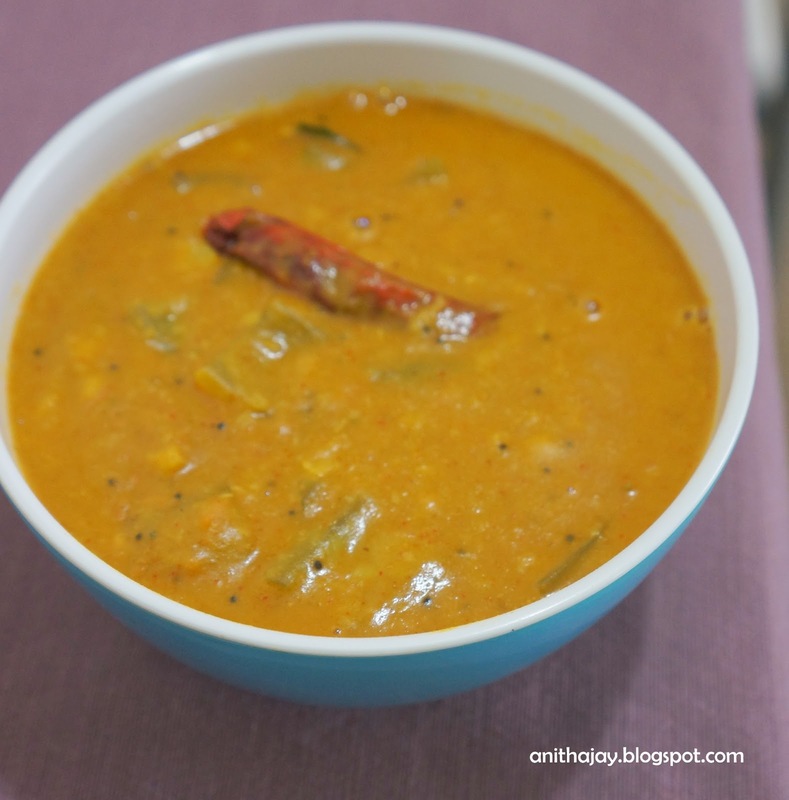 So searched for some other Podalangai recipe and my search ended in SpicyTasty's Poricha kuzhambu and wanted to try immediately. Wash and cut snake gourd. Pressure cook the dals and keep aside. Cook the snake gourd separately and keep aside. Dry roast the ingredients under For paste and cool down. Once cooled blend in blender with little amount of water as coarse paste and mix it with dal. Combine dal, cooked snake gourd in a pan and bring it to boil. In small pan heat oil , add items under For temper ,once splutters add this to prepared curry.